The other day in my criminology class, somebody answered a question saying it is impossible to multitask and that your brain actually switches back and forth between tasks really fast. That got me thinking, so I decided to look it up and he seems to be correct. Today you see pretty much everyone that is walking is on their phone. Whether it is at school, going to class, or just walking on the street, multitasking has increased greatly because of the new technology we have. It now annoys me when my roommate puts the tv on while I am doing homework. 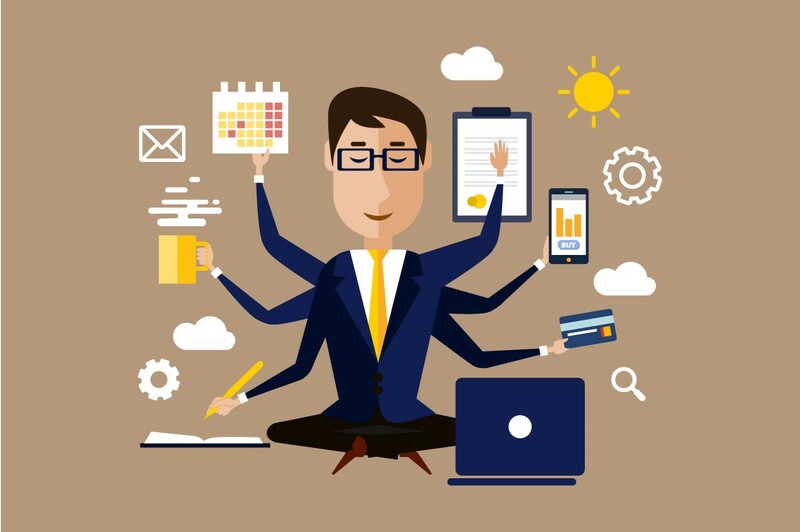 People think that they are such great multitaskers that they can do it in any situation that they want. For example, for some reason drivers think they can use their phone while on the road. According to the website http://www.textinganddrivingsafety.com/texting-and-driving-stats, the minimum amount of time of attention while you look at your phone while driving is 5 seconds. Even though it doesn’t sound like a lot of time, it is equal to driving the length of a football field if you are driving about 55 mph. The point here is that your brain can’t do two things at the same time and there are certain situations where trying to multitask will give you negative results. Multitasking is impossible because if you are trying to focus on two tasks at the same time, your brain will just rapidly switch between each task. What really is happening, is your attention from your first task is now being switched over to your second task and the same thing when you go back to task number 1. Your brain will have activity in an area for one task and it takes time to switch over to another part of your brain for a second task, therefore you can’t do it at the same time. People believe that multitasking will help them, when in fact you are probably going to see lower results in your performance and quality. In an article written by Travis Bradberry, he writes about a recent study by Stanford University researchers found that those claimed to be the best multitaskers actually came out to be the worst in the experiment. This is because throughout the experiment, they had trouble managing their task, making them to take more time and complete it slower than the others. I now understand why my dad would always tell me to turn off the tv while I was doing homework during high school. My brain can’t focus on a few minutes of studying, then after a little bit, look up and see what is happening on tv. Even having my phone near me or if I am listening to music while working I know I will get distracted and take a longer time do finish my work. Hopefully now I’ll tell my roommate to turn the tv off in our room while we work. This entry was posted in Uncategorized on September 13, 2016 by Patrick Ryan. Multitasking, as you mentioned, is part of our everyday lives. I sometimes find it hard in a class when I’m taking notes from the screen and a teacher is speaking at the same time to listen and understand what the teacher is saying, while simultaneously writing. Not only is multitasking very difficult to do, it also can stress you out to be doing so many things at once. I find focusing at one specific thing, for example an assignment, at a time is the easiest and least stressful way to go. I agree that when you study it’s best not to have other distractions, which makes it easier to focus on the task at hand and get through the material more efficiently. I’ve always been told that I am a good at multitasking. After reading your blog, I do not really see that as such an impressive thing anymore. Luckily, what people have seen as multitasking may just have been me struggling to get many things done in a short amount of time – especially during high school and the work load I experienced. Anyway, though, I feel like multitasking is something society should be more informed about. When I think of this “skill” I definitely first think of texting while driving, which I found as the most moving part of your post, too. On another student’s blog I mentioned how texting is a form of distraction. If you say that multitasking doesn’t work because your brain can only focus on one thing at a time, anything else going on is now a distraction as well. I’ve heard time and time again, even from my own friends, that they are good at texting while behind the wheel. They’re not “good” at it – they’ve simply been lucky. It is possible at any time to be in an accident and inflict consequences on innocent people due to one’s insensitive multitasking. Relating texting while driving and the research on why multitasking does not work can hopefully make even more of an impact on society as we try and put this message in people’s heads to not use their phones while in a vehicle. Below are links to some very moving videos, the first staged and the second true, that will hit home emotionally about the issue of using your phone while driving. I find the topic of multitasking to be very intriguing. I have always questioned as to whether or not multitasking really exists, and I have always heard speculation as to what you are saying. I have always heard individuals say that multitasking is actually impossible, that there is no way to do more than one thing at the same time. 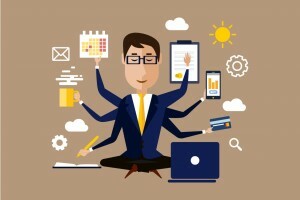 What I find most interesting about your blog though, is that those individuals who do indeed think that they are not only multitaskers, but great multitaskers, are actually very bad at performing more than one task at the same time, like in the Stanford University study you mentioned. Another fact that I found interesting in your blog was that, rather than doing more than one thing at the same time, as you mentioned, our brains actually switch back and forth between the different things we are trying to do. I feel like this can’t be good for our concentration, in fact, I feel as if it would only hinder our ability to perform the tasks we are trying to undertake. I feel as if it would actually deter us from completing the tasks efficiently because we would constantly be having to switch from one thing to another, which would mean we would be breaking our concentration and having to constantly regain that concentration every few seconds. This makes me wonder whether or not multitasking, or doing multiple things at the same time, or relatively the same time, is actually healthy for us. I will say though, that although I am disappointed to learn that multitasking is not really a real thing, I can very much relate to this. For example, over the years I have noticed that, when I read and listen to music at the same time, often I will suddenly stop reading and notice that I am on a completely different song than the one I started on; I will also realize that I hadn’t even noticed the songs had been changing, nor had I heard any of the songs between the initial song and the one I heard when I stopped reading. This has always made me question the topic of multitasking because, at least for me in this instance specifically, I found that I was only able to focus my concentration on one thing, in this case only the reading or only listening to the song, at one time.